The Early Bird Special has ended, but due to overwhelming positive feedback, we decided to extend the Bonus 13 Adventures for all 1-Year Subscriptions throughout the pre-order period until February, 2018. SO, What Happened to Our Kickstarter Campaign? 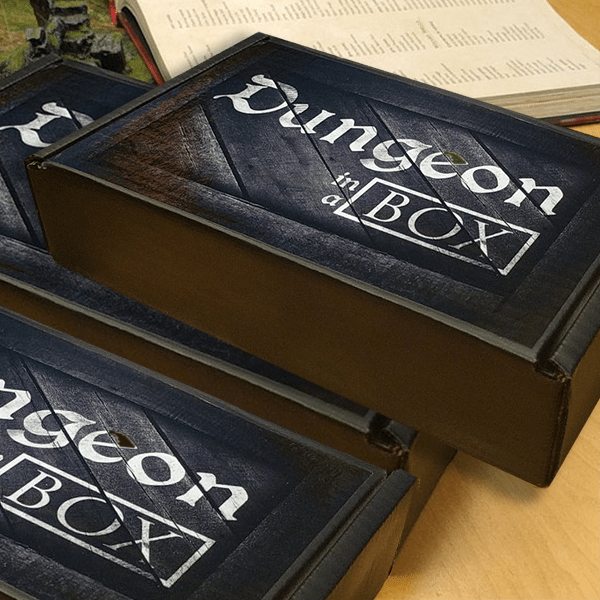 If you just recently found out about Dungeon In A Box, you may be wondering what happened to our Kickstarter campaign. 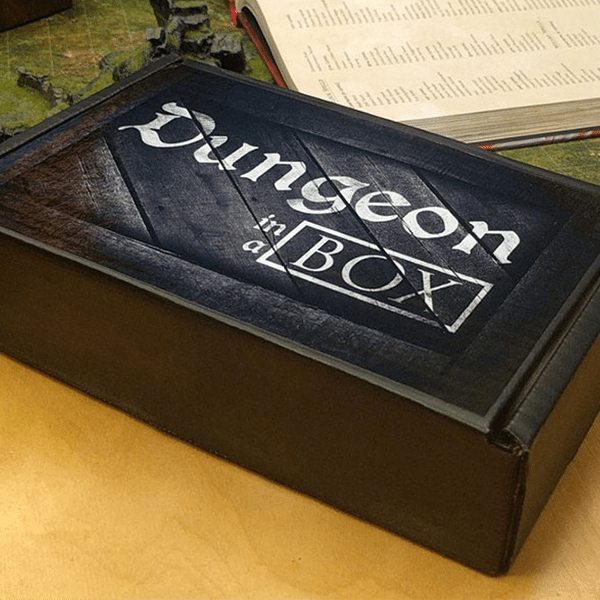 On November 9th, 2017, we launched our Kickstarter campaign and within an hour, Dungeon In A Box got funded! The day kept getting better, and we we wrapped up our first 24 hours more than 800% funded. The next day we received an email from the Kickstarter team, stating that our project doesn’t meet their guidelines. This came as a shock and surprise to us – especially because Kickstarter had already reviewed our campaign and given us the go-ahead. Specifically, the issue is that we were including the plastic minis of a third party in our boxes. Although we are working closely with that company (and continue to work closely with them), this was technically against Kickstarter’s guideline that, “All rewards must have been produced or designed by the project or one of its creators“. But you can’t have a good adventure if there aren’t challenges, right? We decided to fast-forward the project and officially launch on our website within the following week. As you can see, we’ve worked hard to keep that promise! We are now accepting your Pre-Orders! We’re honoring all Kickstarter pledges. No matter what level you backed us at, we will honor that same price. Guaranteed. You get an extra 5% off your subscription. To apologize for the inconvenience, we are offering an additional 5% discount to all our Kickstarter backers. Simply enter your Kickstarter Backer Coupon at check out. Subscribe once, and your done. Unlike Kickstarter, we don’t need to collect your billing or shipping information again. Sign up now, and that’s it! We’ll also be bringing you lots of amazing Stretch Goals. Just like on Kickstarter, as more subscribers who join in, the more incredible components we can add to the box! All orders are still on track to be shipped out this February, 2018. The adventure goes on! PRE-ORDER now, and spread the word! Q: Are the adventures going to scale? Is there an adventure path or similar methodology? Will the modules be able to be in PDF as well as print? A: Yes, the adventures all combine to form a year long adventure arc that! 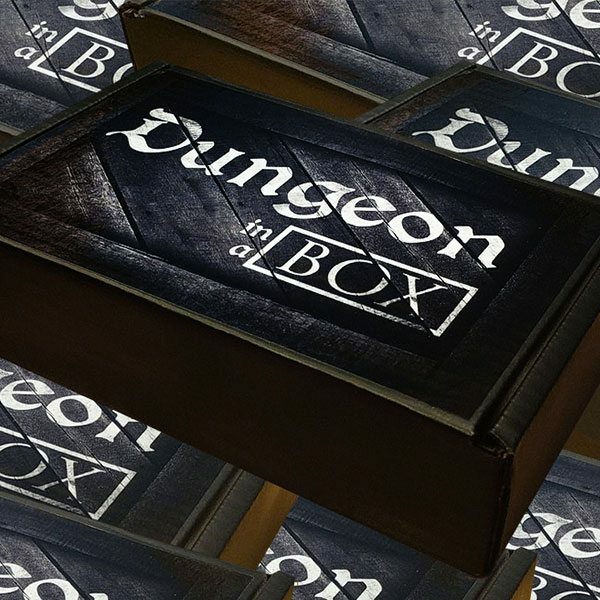 (You can also play the boxes as stand alone adventures, if you prefer that). It’s the classic “adventure path” model. The adventures also include instructions on scaling them for any level party. You could technically play our intro adventure with 20th level characters! Q: What about the rest of the planet outside of the North American continent? After all the build up, I expected a global reach. A: Guys, we’re so sorry, but physical shipping costs are prohibitive out of the US. As our company scales (and our order volume grows) we hope to get better pricing and start offering shipping to other countries. At our current shipping rates, it would cost us more than the price of the box itself to ship to Australia, Europe or anywhere outside North America. We opened up shipping to Canada only after getting a significant number of requests. Still, the fact remains that shipping to Canada is nearly three times as expensive as shipping within the US! 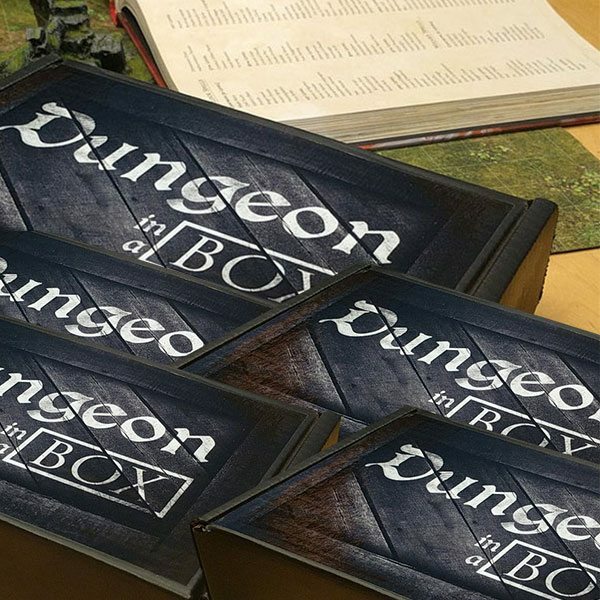 Q: Any word about whether or not the minis (premium and flat plastic) directly correspond with the adventure module in each box? A: The “Flat Plastic” minis WILL correspond to the adventure each month. For example, if the adventure calls for orcs and wolves, you’ll get the orcs and wolves you need! As of now, the “Premium Minis” are not married to the adventure – although that may change in the future. We wanted to offer a exciting variety of sculpts that are fun to collect, paint, and use in any game. We think blind-boxing is the best way to do that. That said, given the strong response to the campaign so far, it may be possible to start providing custom sculpts for each adventure. However, that depends on several factors at this point. We’ll have more info on that in the days to come. Q: Out of curiosity, what will be the normal prices when you launch your retail site? And will there be an option to pay month to month? Or just lump sums? When we launch our retail site, the normal prices will increase. How much will depend on a number of factors – but the biggest jump will be for the yearly plan. That will see a significant price increase. 1) Do you have a large team already prepared? Do they have experience with the complicated logistics of procurement and delivery? 2) Do you have manufacturing already lined-up? Is there a MAXIMUM volume they can handle? Yes, and yes! This Kickstarter has been over a year in the planning. We were careful not to launch until we were positive we could respond to demand and fulfill every promise.